The Road to Hana is one of the most iconic drives in the world. But it’s more than just the drive that makes this a classic road trip, it’s the Road to Hana stops along the way that are so scenic and memorable. Even though there is only 50 plus miles of road on this winding stretch of highway along the Maui coastline, there are some beautiful hidden treasures all along this amazing drive. To help you plan your drive, we thought that we would make it easy for you by listing some of the best Road to Hana stops that you should be sure to check out along the way. While there are numerous tours that you can join to explore the road to Hana, we believe that renting a car on Maui was the best way to enjoy the road to Hana drive! Tours are easy because you can relax, but you may not have the best view from the vehicle. Plus, having a rental car will give you the most freedom to stop to explore and take photos. Browse car rental deals from all the major companies here! Start you journey here first thing in the morning, a charming and laid back beach town is just east of the main airport on Maui. This is the last town to get some breakfast before you start you journey clockwise on the Road to Hana. If you want to check out some of the cool art galleries and shops around the town, we recommend doing it another day – because you will want to get started down the Road to Hana before all the tour groups and traffic get on the road. Want to watch some of the best surfers tackle some of the best waves in Maui? This is the place to do just that. The north shore of Maui is known for being the best part of the island for windsurfers and kiteboarders due to strong and consistent winds. We would recommend that you do not try to surf here unless you are an experienced surfer with years of experience. But it’s nice enough just to relax and watch the pros! Continuing along the highway for a few more miles, you will notice that the mile markers go to “0” – indicating your start to the most scenic part of the road to Hana! The hike to see Twin Falls is a beautiful one, and these gorgeous falls also offer a large swimming hole at the bottom. 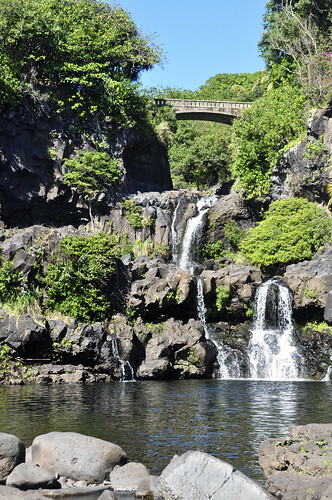 Consider sticking to the closest falls along the path in order to save you some time on your trip on the Road to Hana. You will always see cars parked here due to it being the closest waterfall at the start of the Road to Hana. You will also notice a nearby farm stand selling smoothies and fruit at the entrance to the waterfalls. A great breakfast option if you didn’t stop in Paia. Watch our Maui Geocaching Adventure as we stop just past mm 6 and head on an epic adventure over 4 waterfalls. 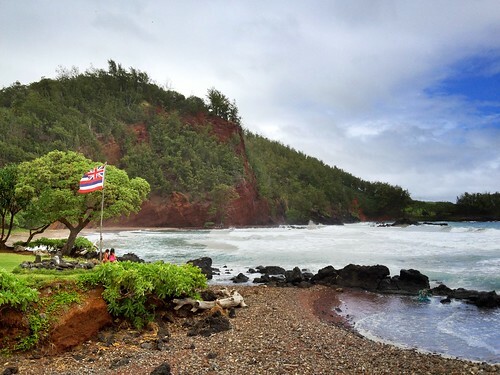 There are often many cars stopped here, and you can find a trail head – but a stop here is quite a trek, so it will definitely put you behind schedule if you are planning to drive the Road to Hana round trip in one day. So if you don’t have time, skip it. But if you do have all day — then you may want to check out this hike too! Shortly after you pass mile marker 6, start looking on the left side of the road. As you come around a bend before mm7 you will see a group of colorful trees! 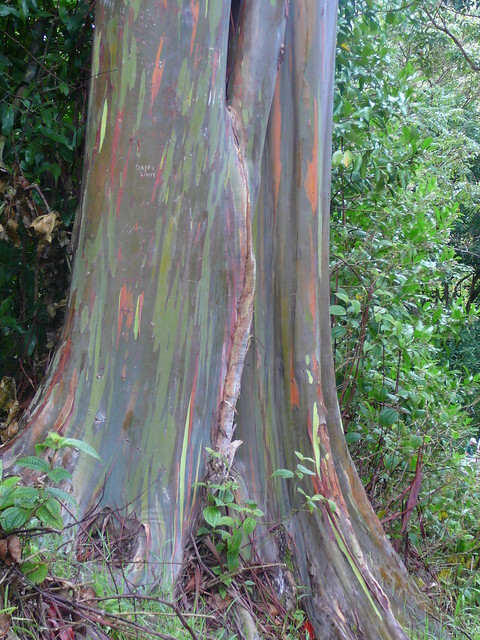 These are painted Eucalyptus trees – and they are quite beautiful to see the natural colors. However, it’s easy to miss the trees if you aren’t looking carefully and there isn’t any parking around. Be careful if you want to drive slow or make a stop to take a picture. This is a great place to get out of the car to stretch your legs. This trail has 2 loops on it, one of which will take an average hiker 10 minutes and the other will take around 1.5 hours to complete. Make sure to be prepared for all types of weather out on the trail and make sure you have plenty of water with you – especially if you want to take the longer hiking loop. There is a fee for walking these gardens, but taking a walk and enjoying the immaculate grounds offers all kinds of photo opportunities. 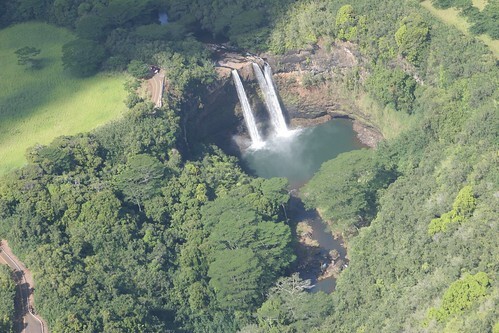 Here you can find bamboo, ocean views, and a 100 year old mango tree, and Puohokamoa Falls. A lovely stroll through the tropical vegetation in Hawaii! The Wayside park on the way to Hana has a beautiful lookout point with a view of Maui’s North Coast. This park not only hosts amazing views, but also offers bathroom, a picnic area, and various trails winding it way through the forest. So it makes for a nice stop on the road to Hana. The Road to Hana is a winding one, full of beautiful vistas and sparkling blue bays of water. While there are a few turnoffs along the Road to Hana where you can get a good picture of the bay, there aren’t too many. Honomanu Bay, you can actually drive to the bay – but you will need a 4×4 to get there and it is not recommended if you have no off road experience. The rocky beach is beautiful to take pictures, but not for swimming. Save the swimming for another spot. 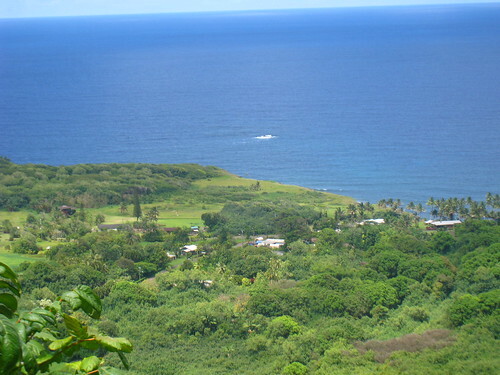 Ke’anae has an interesting history, beautiful views and an excellent arboretum. The coast is rocky and is dangerous to swimmers – so again, save the swimming for later. At the Arboretum you will find taro, bananas, yams, and other crops grown by the Ke-anae locals just as their ancestors did before them. A very cool experience to stop here. While on the Road to Hana, make sure not to miss out on the delicious banana bread. There is nothing better than freshly baked banana bread grown from the local lands. This store is a good stop to make, so you can get out to stretch your legs and have a snack before continuing on the Road to Hana. Another community filled with local history can be seen from here. 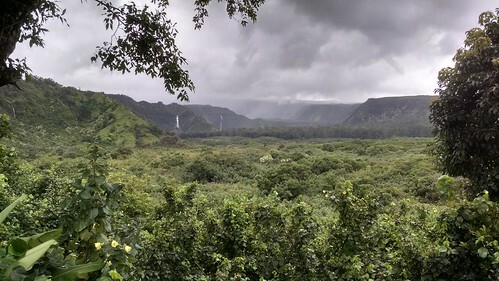 This is a great spot have a picnic and overlook the Wailua Valley and the Ko’olau Gap mountains. This is a small stop that can only hold 3 to 4 cars. It may be hard to find this stop. This stop is also known as 3 Bears and there are only a couple of spots to park the car (but it’s technically a no parking zone). The walk to the waterfalls can be a little tough and is certainly not for everyone. If you want to take the hike, be well prepared with good shoes and water. If you are into picnics, then this is a great place to stop by and have lunch and pick up some souvenirs. Also be sure try the kale pork tacos, these are known around the island as being some of the best. Lava tubes are pretty cool in general, especially at Volcanoes National Park on the Big Island of Hawaii. But if you are on Maui, then you can still check out lava tubes too. To see this one on the Road to Hana, you will need to turn left on ‘Ula’ino Road (around m m31) and drive for less than .5 mile. Then on the left you will see a massive lava tube. Make sure to bring your flashlights if you are brave enough to venture through the tube. You’ll also find a cool little garden maze nearby too. Also off the ‘Ula’ino Road, if you drive a bit further on the right you will find the National Tropical Botanical Gardens. This is also the only accessible view of Pi’ilanihale Heiau, which is the largest Temple in Hawaii. This ancient temple took hundreds of years to complete. A pretty cool site! One of our favorite places along the Road to Hana, Wai’anapanapa state park is filled with history and a must see black sand beach! 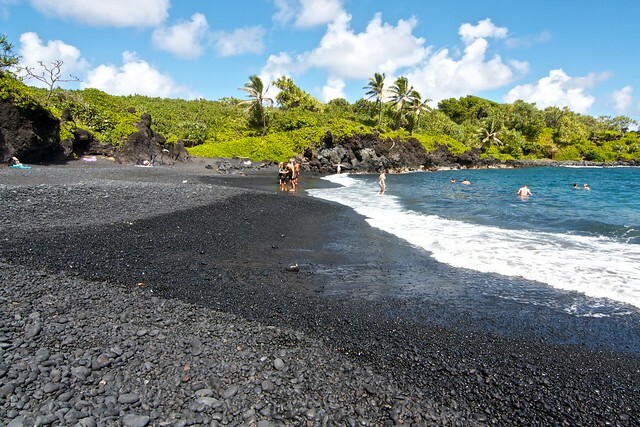 If you have never seen a black sand beach or felt it on your toes, then this is a MUST stop! 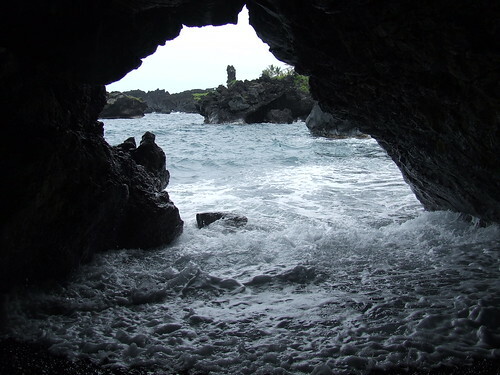 There are also a few great little hiking trails to explore the area further, including a blow hole. Another cool thing if you are looking to save money and have a unique experience in Hawaii, is that you can camp here at the state park on the beach! Falling asleep to the sound of waves crashing against the black sand, and waking up early to the sunrise over the ocean – now that’s a cool experience to have in Hawaii! They do have cabins too, in case you don’t want to rent (or bring) camping equipment. 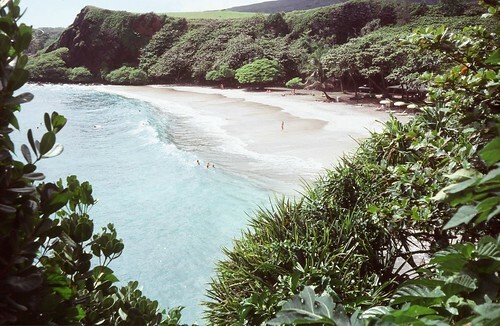 The town of Hana, Maui is known as a sleepy town beachside town. In fact, this is more like the “real Hawaii” that people reminisce about before the big tourism and resorts filled parts of the island. There is quite a bit of of history and culture here in Hana, but it’s a small town and it doesn’t have the excitement or resorts of the west side of Maui. Overall, there is not much here, which is a part of Hana’s charm. It’s also the rainy side of the island – so be prepared for the rain, and some amazing views of the lush foliage! You will find less than a handful of gas stations here, so be sure you fill up before heading off again. A hangout spot for local surfers located just a couple of minutes from Hana. The rip tides can be rough here and is not recommended to go swimming here, but it is a great place for a picnic and to watch the ocean. This is a great spot to do some swimming and sunbathing on a picturesque beach. You will need to park on the street and walk down a small steep hill to get to the beach. Just remember you will have to walk back up this hill to get to the car later. So bringing a lot of gear may not be so much fun. 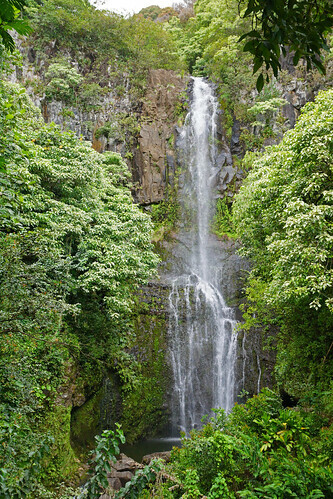 Considered to be the perfect falls on the Road to Hana, these falls are tall and beautiful. Just past the bridge are spots to park. You’ll also find locals selling homemade artwork and sometimes local foods as well. It’s worth the drive all the way out to mm 42 to enjoy this part of Haleakala National Park. 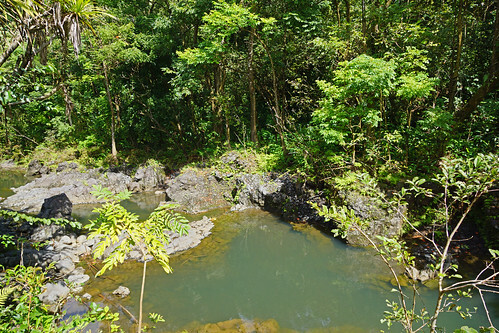 This area of the park includes ‘Ohe’o Gulch, also known as Seven Sacred Pools, the Pipiwai Trail, and Waimoku Falls. All of these are worth exploring. If you are going swimming in the sacred pools, hiking up to the upper levels may be a little challenging, but it’s worth it to swim away from the crowds. As for the hike up to the big falls, it is a bit of a trek — but it’s a well maintained trail that also goes through a really cool Bamboo forest!. Be sure you have time, and bring lots of water. 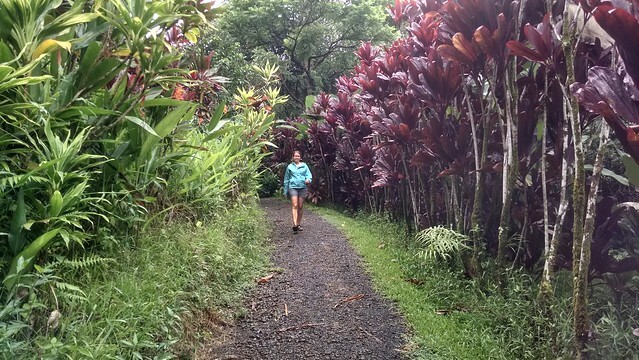 Walking into the Bamboo forest in Maui! This quiet area holds one of the prettiest and simplest churches you may ever see, and has a nice little park to enjoy. Interesting fact, this church is also the home of Charles Lindbergh’s grave. You can continue on the road along the south side of Maui, and then turn up north to Haleakala State Park and eventually back into Central Maui. However, this is a narrow and winding road that is often closed due to weather and rock slides. It’s adventurous, that’s for sure! Some rental cars are forbidden from taking this road, so you also need to check with your car agency. If you want to take this road, it isn’t for the faint of heart and you should be prepared. It’s not a quick trip, but it’s certainly a scenic route! For more information, check out this great interactive Google Map that we found for the Road to Hana! Also check out this great Guide to Maui with a detailed section on the Road to Hana with a couple of lesser known “Local Hot Spots” – if you really want the local experience, this is an AWESOME book! Camping in Maui – Fall Asleep to the Sound of the Ocean…and Save Money! This is a super helpful post, thank you!! We drove the road to Hana a couple of years ago. It was difficult to find the exact sites that we were looking for! It’s good to know that someone’s written such a helpful guide. I can’t wait to go back to Hana someday and use your guide as we drive the road! !